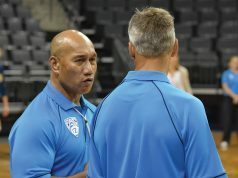 For years, we’ve never really acknowledged the importance of the scorer as an integral part of a volleyball officiating crew. It seems there has always been a pecking order — first referee, second referee, line judges … and then the scorer. But anyone who has had a major scoring snafu during a match, or for that matter anyone who has benefitted from a scorer who is on top of things, can attest to the fact that he or she plays a vital role in a well-managed match. 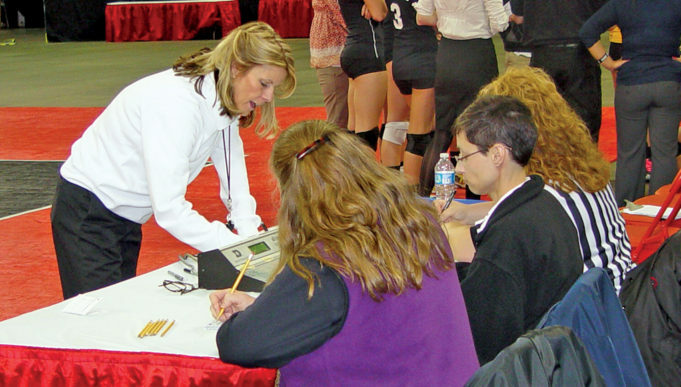 USA Volleyball has a scorer certification program, including a national scorer rating. PAVO provides an initial certification program for collegiate scorers through local PAVO boards, which includes in-depth training materials using the NCAA scoresheet. And NFHS also recognizes the importance of the scorer, and this year added the libero tracker as a required member of the officiating crew. So with our three governing bodies acknowledging the importance of the scorer in their rules and officiating structures, it’s time that referees do the same. It starts with learning how to interact with a scorer to ensure a smooth-flowing contest. Inevitably, you will have an assignment where your scorer is inexperienced — maybe a parent from the stands or a kid from study hall. They deserve good pre-match instructions. If they have little or no experience, then stick to the basics, like recording points, substitutions and timeouts. It will be important that you give them all the time they need to record substitutions accurately during the match. When it comes to less common situations like recording a sanction, help them get it right by telling them exactly what information to record. The scoresheet is the official record of the match, and you want to make sure it is as accurate as possible.